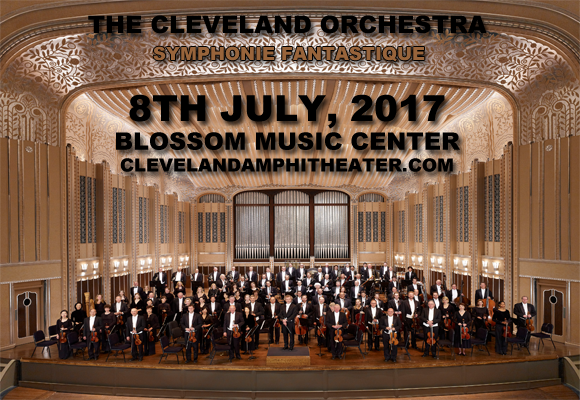 Celebrating 100 years as an ensemble, Cleveland Orchestra, led by Franz Welser-Most comes to Blossom Music Center on Saturday 8th July 2017! The orchestra will be performing Berlioz' dreamy melancholic program symphony Symphonie Fantastique, a cherished and enduring Romantic masterpiece! "The year marks an important milestone, both in celebrating the remarkable first 100 years and in launching a second century that will further build on the great legacy of the Orchestra," said André Gremillet, Cleveland Orchestra Executive Director. "I believe that our Second Century can be even more exhilarating than our first as we continue to elevate the extraordinary artistry of the Orchestra, develop new audiences, and deepen our relationship with our exceptional community."